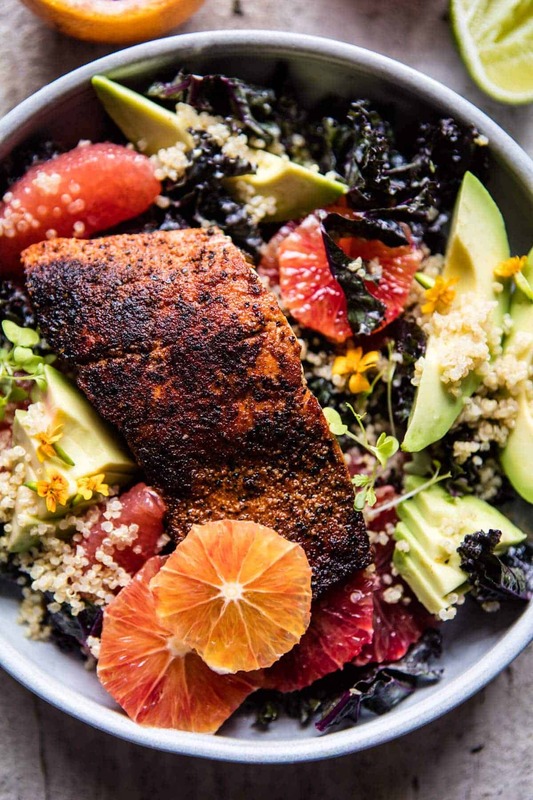 Monday is for colorful things…Glowing Citrus, Avocado, Quinoa, and Blackened Salmon Salad. At least on this particular Monday. I’m starting to get slightly embarrassed by my obsession with winter citrus, but I can’t stop. It’s so pretty and it is SO good. 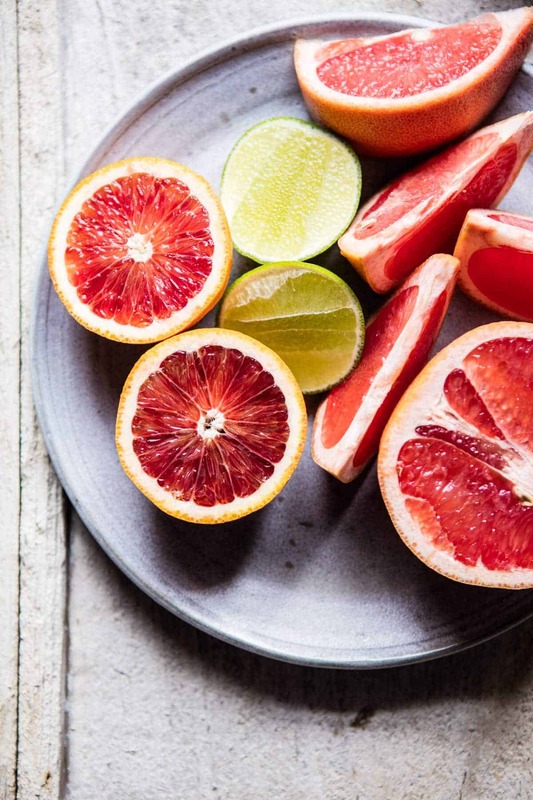 Sweet, juicy and packed with all the color I need to brighten just about any cold winter day. I was about to say cold and dark winter day, but now that it’s February, I am starting to notice the days getting longer and longer with each and every day, YEAH. I can do winter – the snow, the cold, the but the days becoming dark around 4 O’clock is just the worst for me. So thankful for the sun staying high in the sky these days! So I felt like our Monday needed some serious color. I actually had another post planned for today (it too was a very colorful option), but I decided on sharing this recipe first. 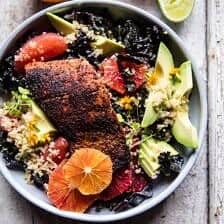 This glowing citrus, avocado, quinoa, and blackened salmon salad is simple, light and the perfect dinner for a Monday. It will leave you full and feeling good…especially needed after a weekend of umm, well, cheese on pasta, on more cheese on chocolate. 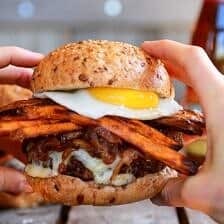 Hello weekend eats topped off with Super Bowl Sunday eats! Clearly bright and healthy food is needed today, right? Way back when I first started cooking, I would make blackened salmon tacos on a weekly basis. <–please excuse the photos and words in this post…that was one of my first posts. I was young, inexperienced and had not a clue how to write. Super old posts like these are kind of funny to look back at though…and also completely horrifying. YIKES. Anyway, I’d make a lot of blackened salmon. My dad loves the spice mixture and it was a quick and healthy dinner. 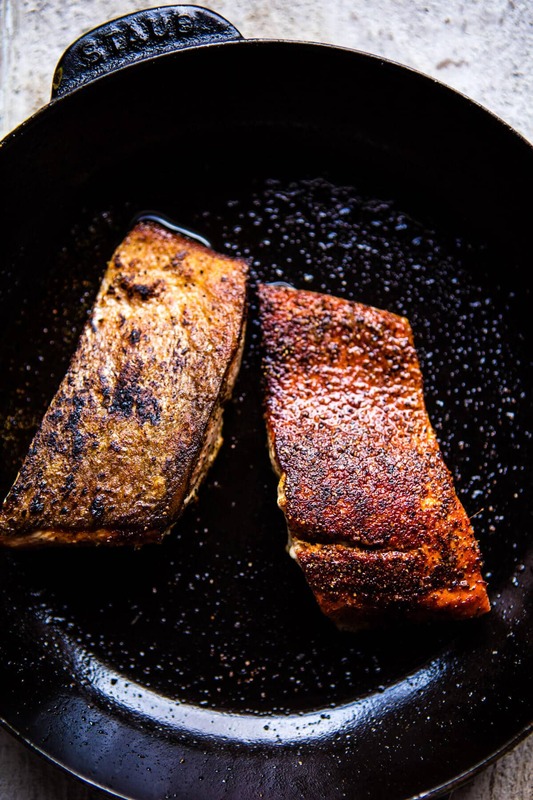 To this day, I think that blackened salmon is still one of my favorite recipes. It’s really good and really simple, and of course, so healthy too. This time, instead of stuffing my salmon into tacos, I thought I would switch things up a bit. 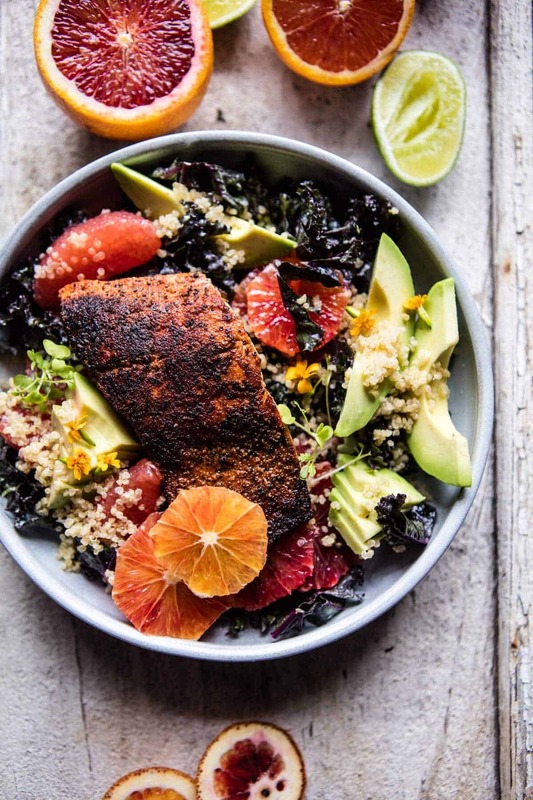 I loved the thought of salmon, winter citrus and avocado, bright colors + fun flavors. <–totally my kind of food. Seriously though, I’m loving this salad. Spicy, sweet, hearty, full of avocado and topped with creamy dressing, the best. Plus, it kind of brightens my day just looking at it. And the best part…it tastes even better! Soooo, bring on the Monday salad…as long as it’s this one of course! In a large gallon size zip-top bag or bowl, combine the olive oil, smoked paprika, garlic powder, thyme, salt, pepper and lime zest + lime juice. Add the salmon and toss to combine. Heat a medium size skillet over medium-high heat. Add the salmon, skin side facing up. Sear the salmon for 3-4 minutes and then flip and continue cooking for another 4-5 minutes or until the salmon reaches your desired doneness. 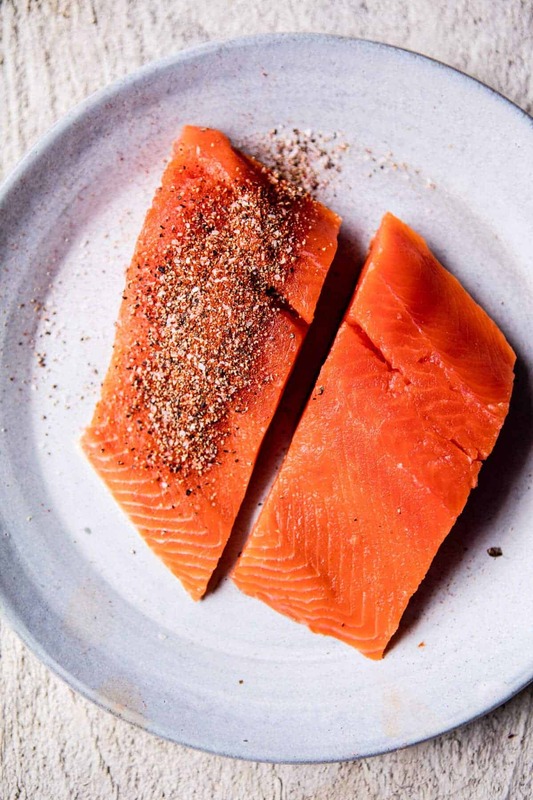 Cooking times will vary depending on the size of your salmon. To make the salad. In a blender, combine the yogurt, cilantro, lime juice, honey and a large pinch of salt. Blend until creamy and smooth. Taste and add salt if needed. Add the kale to a large bowl and massage with a few tablespoons of the yogurt sauce. 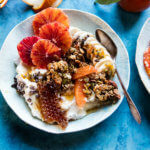 Add the oranges, avocado, and quinoa and gently toss to combine. 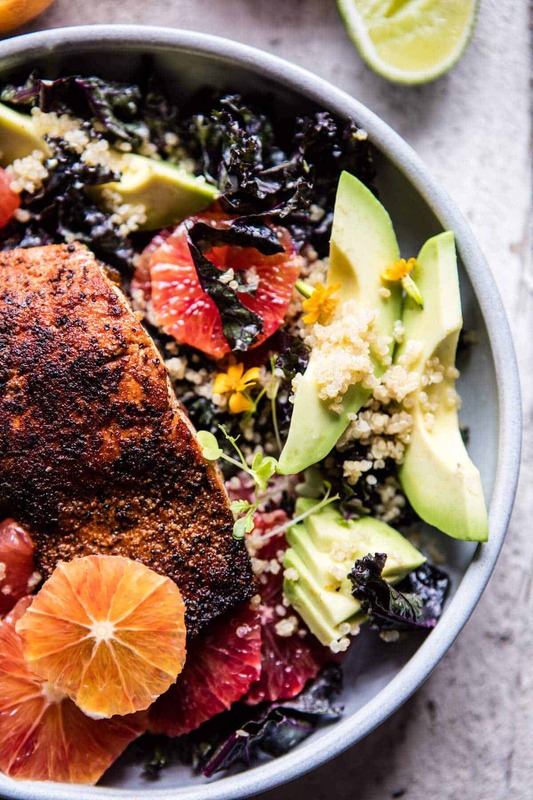 Divide the salad among plates and top with salmon. 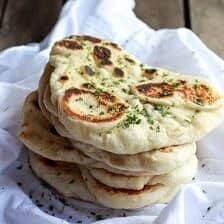 Serve with the remaining yogurt sauce. ps. if you wanted to add a little cheese, maybe some burrata or feta? I think that would be a genius idea. Slow Roasted Citrus Salmon with Fennel and Parmesan. 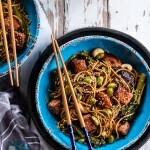 Sake and Ginger Soba Noodle Salmon Stir Fry. I love that combination of citrus and avocado! And the salmon! This looks so Tieghan! That’s a great Monday salad Teighan! And I’m completely with you that I’m so thankful it’s staying lighter a little longer these days. So ready for summer! Thanks Shannon! You have no idea! Loving all the light in the evening! Holly wow! The pops of colour are insane! I just picked a couple of grapefruit from the yard. Making your recipe right now for dinner! It includes everything we love! Thanks again. So happy you liked it! Thanks! Awh such a bummer you aren’t finding them! I hope you can! Would skinless salmon work ok for this? 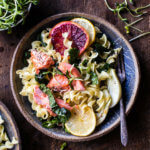 I happened to buy wild sockeye filets yesterday that are skinless, and this recipe looks great! Hello! I am reading your recipe and it sounds yummy! Am wondering if there was a typo. In the rub for the salmon there is only lime rind listed. In the prep directions it mentions lime rind and lime jc. Could you clarify? Thanks! Hi1 So sorry about that. You need the zest and juice of about 1/2 a lime. Let me know if you have questions. Hope you love this! This is such a gorgeous, heart-healthy salad! Love those pretty pops of color from the glowing citrus! Ah yes, so perfect! Hope you love it Matt! Seriously obsessed. LOVE all the colors and flavors you’ve got goin on in here! 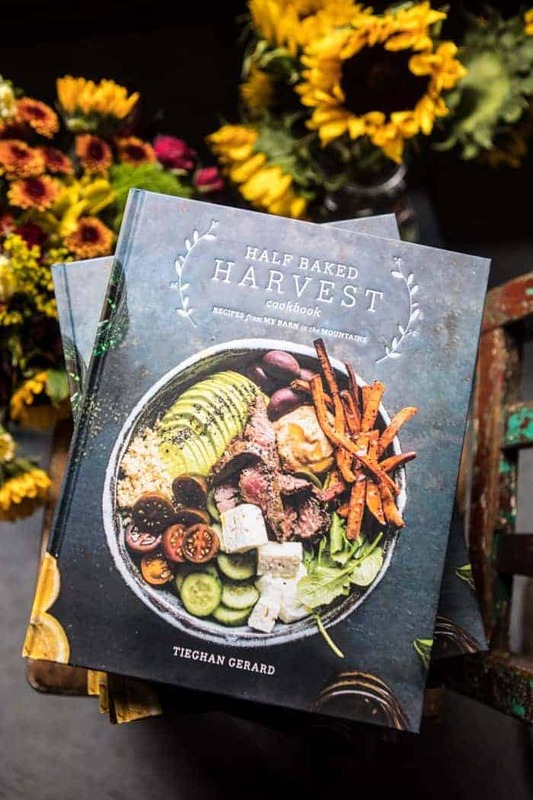 This salad is gorgeous, Tieghan! 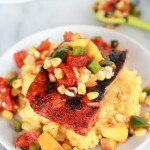 Love blackened salmon! 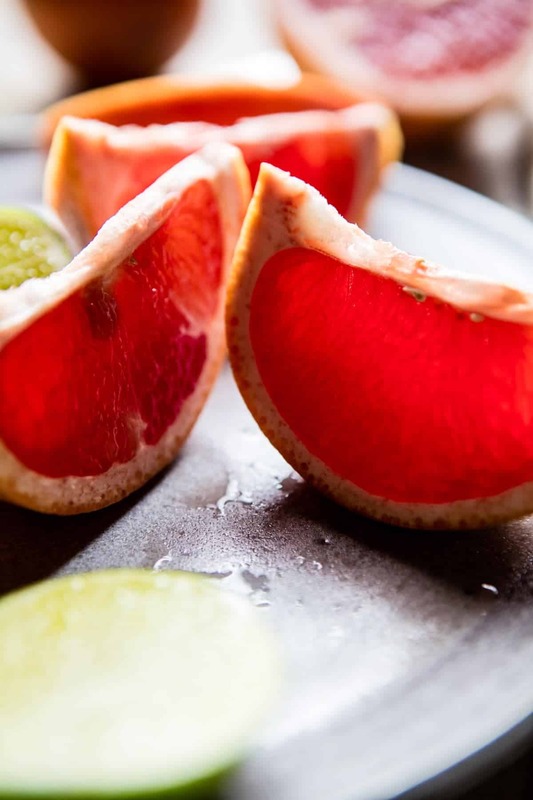 Oh that winter citrus! It totally makes this healthy salad absolutely gorgeous Tieghan! I love the spices on the salmon too. So happy your liking it, thanks Mary Ann! This is SO stunning!! I’ve been embarrassingly obsessed with winter citrus lately too lol. I can’t get enough! 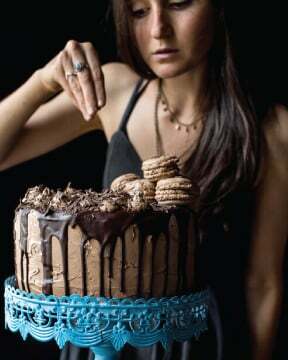 Definitely going to make this!! Same here!! I hope you love them Molly! Thanks so much, its one of my favorites in the winter months! Your obsession is making up for my lack of all citrus this season. I don’t know what’s with me but I need to get on the citrus train asap before it’s gone! Ah yes! They’re so good! I’m loving it! This was truly a Mind Blowing Meal- I used cara cara oranges & tulemos(orange/tangerine mix) have not had a meal this good in eons! Finished w / Greek whole plain yogurt topped w fresh strawberries & drizzled honey & one small lavender shortbread cookie !!! I’m so so happy you liked it, it sounds amazing! Thank you! Wow wow and wow!!!!! You have got it girl, the flavours were amazing, please come to Australia and do some cooking shows! My family think I’m amazing serving up your recipes but I had to come clean and admit they were yours! Love your work and every week look forward to the new recipes! This one was a top ten and beyond ! That sounds so fun!! I would love that. SO happy to hear you guys are liking them (: Thanks so much Suzi! How long does this keep? 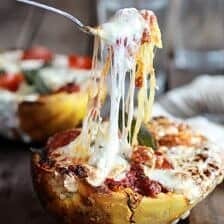 Could it work for work lunches? 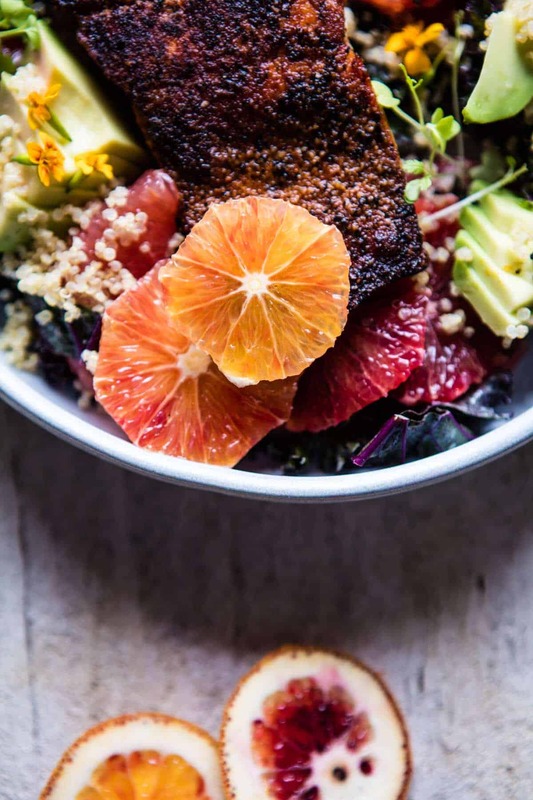 This is my first visit to your blog ~ and just swooning over your gorgeous salad. Have salmon thawed and ready for dinner tonight and blood oranges, clementines, and grapefruit in my fridge. 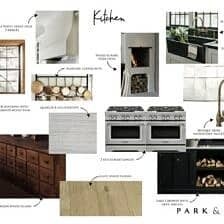 ”Tis meant to be … I’m a pastry chef turned clean eater 😉 and so excited and inspired to find your beautiful recipes. Hi Julia! Welcome! So happy you like it! Thank you so much, so happy they’re inspiring! I just made this after a very fun weekend of carbs and cheese and beer and OHMYGOD. So delicious and just what I needed to detox from the weekend. Seriously though, this salad is the stuff dreams are made of. This dish was delicious! I was unsure what my husband would think of the grapefruit so I just used one large one. We both ate every bite and he didn’t mention the grapefruit so I’ll definitely add more next time! The salmon was so flavourful and I loved the dressing. Thank you so much Melanie! I am so glad you liked this!